Ali Riaz: Do you remember that Savar “accident”? Do you remember that Savar “accident”? Rana Plaza in Savar collapsed on 24 April, today is 13 May. The rescue operation has also finished, after 20 days. 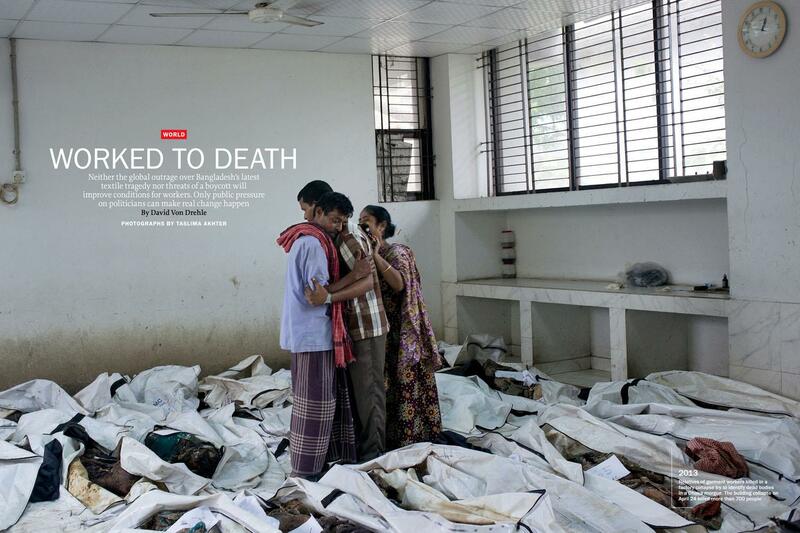 1127 corpses have been found, over 1000 injured and none of us know how many are missing. Those who have lost their family members know how painful this is. Those who are still waiting for the dead bodies of their loved ones understand the depth of the darkness between hope and despair. The collective efforts of the general public rescued thousands of people; people came to rescue forgetting the difference between day and night, ignoring all their duties. While participating in rescue efforts Izazuddin uddin Chowdhury Kaykobad was burnt to death; Omar Faruk Babu after loosing his mental equilibrium died under suspicious circumstances. Incessant news reports flooded world media. Many around the world, even those with no connection to Bangladesh, have come forward to put pressure on different buyer-companies so that urgent actions are taken to ensure a just wage for the workers. Yet, still now the BGMEA has not been able to produce a complete list of workers who were working on that day in the five factories. So far, in two attempts what is given is not a list but mere numbers. Why cannot the peak-body of owners of the industry be sued for its failure to produce a list, when everyone else can work day and night for the good of our country, for a fair wage for the workers and to establish a union for them? Although it did not take long for cunning leaders to close the factories. There is no urgency in paying the wages due, but the workers were easily told ‘you won’t be paid if you don’t work’. Already 20 days have passed, we were busy with other issues, many incidents will take place in future – maybe one day we would say – ” do you remember that Savar ‘accident'”? অথচ বিজিএমইএ এখন পর্যন্ত একটা পূর্নাঙ্গ তালিকা দিতে পারেনি যে ঐদিন এই পাঁচটি কারখানায় কতজন মানুষ কাজ করছিলেন। এই পর্যন্ত দু’দফায় যা বলা হয়েছে তা যে কেবল ভুল তাই নয়, সেগুলোও কেবল সংখ্যা, তালিকা নয়। দেশের প্রয়োজনে, শ্রমিকদের ন্যায্য মজুরি পাওয়ার প্রশ্নে, তাঁদের ইউনিয়ন করার অধিকারের প্রশ্নে সবাই যখন দিনরাত কাজ করতে পারেন তখন এই শিল্পের মালিকদের সংগঠন কেন একটা তালিকা প্রকাশ করতে ব্যর্থ হওয়া সত্ত্বেও তাঁদের ব্যাপারে কোনো আইনগত ব্যবস্থার সুযোগ নেই? Ali Riaz is Professor and the Chair of the Department of Politics and Government at Illinois State University. Next Adam Davidson: Economic Recovery, Made in Bangladesh?